is our specialty, and styling twists, braids, cornrows, and weaves, is our passion. Your hair is our priority, and we take pride in providing the best service, while utilizing proper hair care techniques. We operate by appointment only so Schedule an Appointment today!!! one of many African traditional hairstyles embraced and loved by many for numerous years. It is a skill and an art. 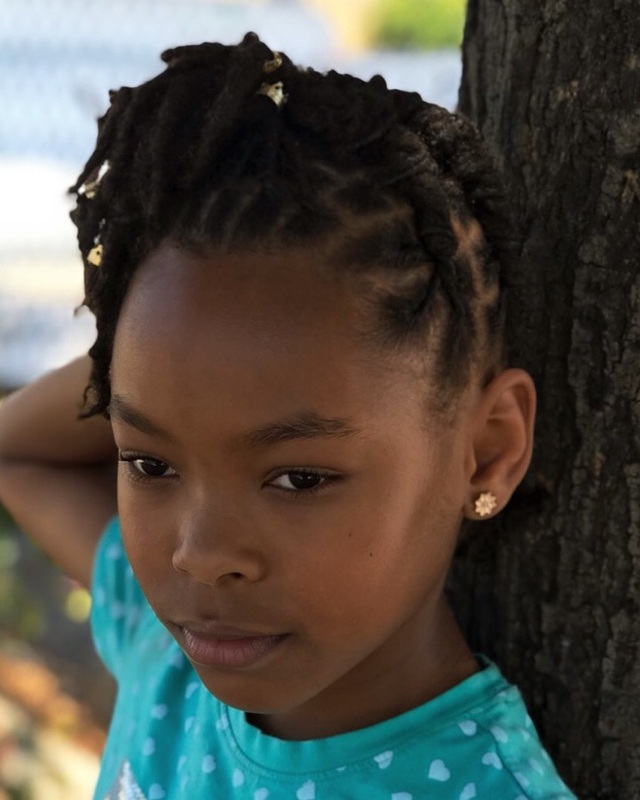 While mainstream America calls “hair braiding a new trend”, it is merely just a replication of what was worn by many ancestors thousands of years ago. 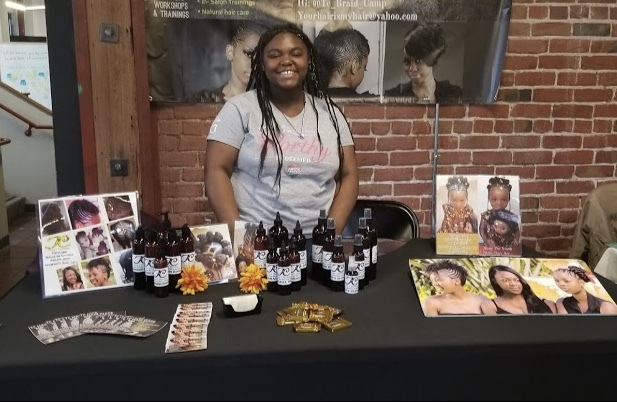 Tiarra has serviced many women in the bay area, and now she wants to train the next generation. 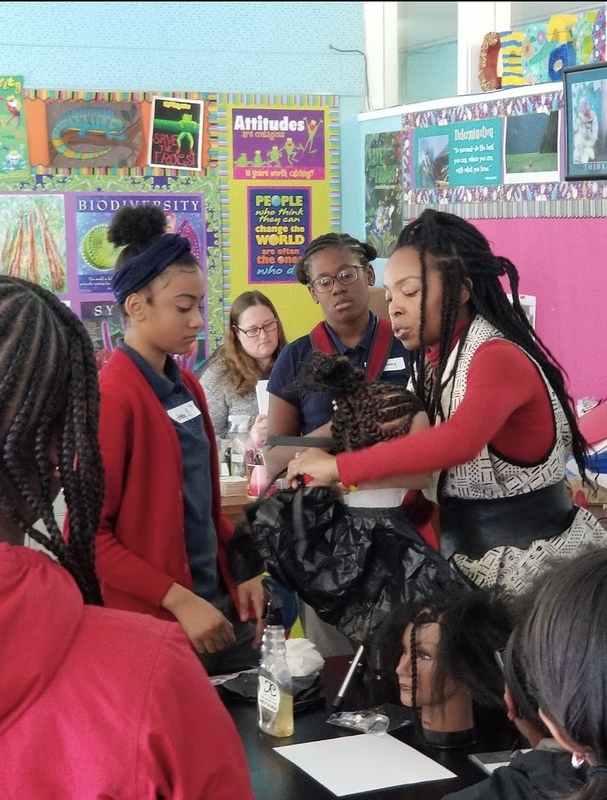 Every month, she hosts a week long braid camp tailored for young girls to learn how to properly care for and style natural hair. If you are, or know a young lady between the ages of 9 and 17, view the upcoming classes below and SIGN UP! Tiarra has her own line of hair products. Visit our online store to place an order for shampoo, conditioner and a healthy hair oil!